See more objects with the tag numbers, calculation, mathematics, keys, calculator. This is a Scientific Pocket Calculator. It was overseen (as design director) by Dave Cochran. It is dated 1972 and we acquired it in 2017. 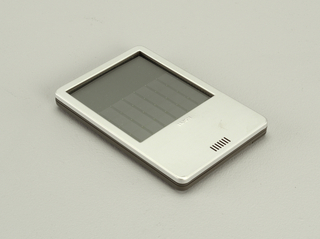 Its medium is molded plastic, metal, electronic components. It is a part of the Product Design and Decorative Arts department. 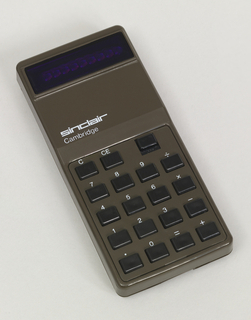 In 1971, William Hewlett challenged his engineers to miniaturize the company’s 9100A Desktop Calculator, a forty-pound machine, into a device small enough to fit into his shirt pocket. 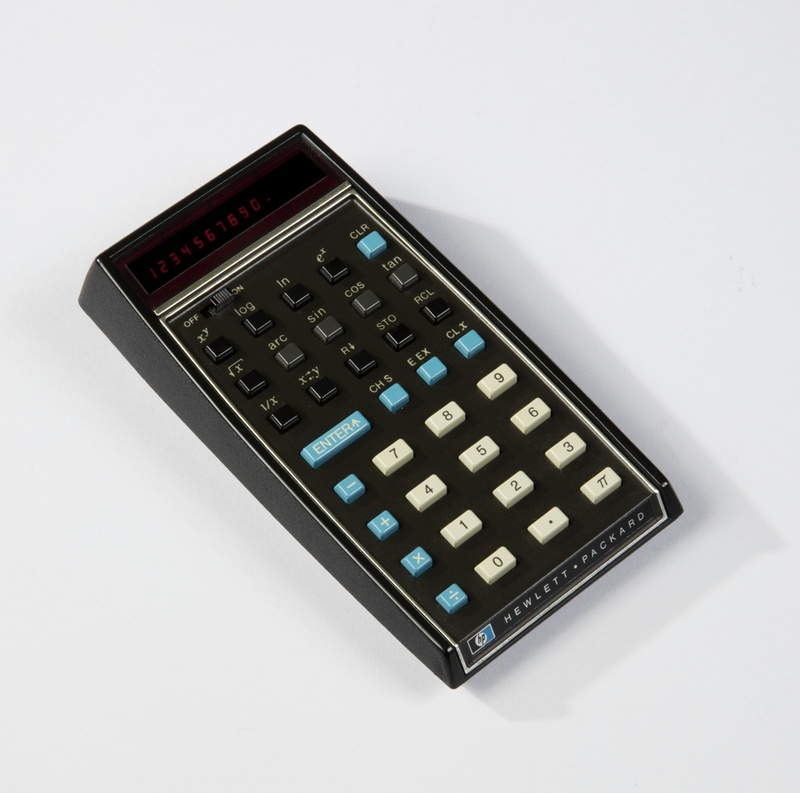 The following year, Hewlett-Packard released the HP-35, the world’s first scientific pocket calculator capable of advanced calculations. The HP-35 name refers to the device’s 35 buttons. 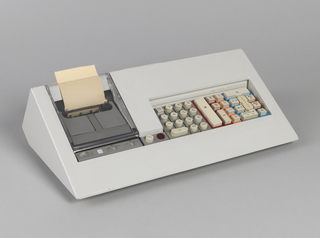 The HP-35 was the first scientific calculator to be sent to space, aboard the Skylab space station in the 1970s.